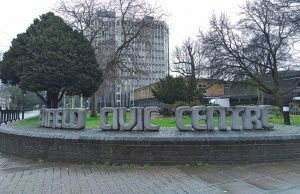 Six months before Brexit, bosses at Enfield Council say they need urgent clarity on the final deal to be able to manage the effects on it services. The council’s leadership has highlighted the potential economic impact and uncertainty for the 23,000 non-British EU citizens currently residing in the borough. Earlier this year a council paper assessing risks to service delivery gave an ‘Amber’ rating for Brexit, meaning it has potential to cause disruption. The report stated that, depending on the outcome of negotiations, “regeneration programmes could be placed at risk; housing supply may come under further pressure; business rate income could fall, and environmental service arrangements will need to be reviewed”. Councillor Nesil Caliskan, the council leader, has called for new funding streams to cover the loss of EU regeneration funding. She said: “Enfield Council continues to be concerned as to the potential impact Brexit or a ‘no deal Brexit’ may have on our communities and our ability to continue to deliver high-quality services when we leave the EU. A third of all London’s construction workers come from the rest of the EU and, after Brexit, such workers will need to apply for a new and untried ‘settled status’. Enfield’s flagship £6billion Meridian Water development is intended to bring thousands of jobs and new housing, but could become one of many projects that struggles to find qualified workers, with the council warning that Brexit “may have a negative impact on [the] construction industry, which is reliant on EU nationals”. Last month the council’s cabinet discussed a projected gap in funding over spending of more than £9million, which may be met from reserves. Any economic downturn caused by Brexit could impact further on income and increase demand for services. Cllr Caliskan said: “As with the majority of local councils across the country, we are very keen that government should announce a fund to replace the EU structural funding that will no longer be open to us. Just under 56 percent of voters in the borough supported remain in the June 2016 referendum. While other London councils have formally backed calls for a People’s Vote, Enfield Council has yet to debate any motion on it.